BICS, a leading international provider of telecommunication traffic, needed a reliable vendor of Telecom Operations Services. SS7 (MAP, CAP etc.) & NGN (TDM, STDM, SIP etc.) 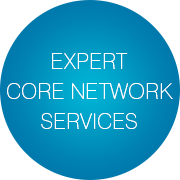 signaling and protocols stack, mobile roaming, TCP/IP networks, and more. BICS is recognized in the wholesale communications market as a top global voice carrier and the leading provider of mobile data services. Its innovative suite of solutions for Voice, Messaging, Data & Connectivity, Business Intelligence & Analytics, Fraud & Authentication, Roaming, MVNE and Asset Monetization bring value to customers’ businesses by enabling them to offer state-of-the-art communication services. Headquartered in Brussels, Belgium, it has over 1,000+ customers, including more than 400 mobile data customers, and employs 500+ staff worldwide. Being an innovative market leader, BICS needs to ensure their customized business solutions are supplied with timely, reliable and efficient support and services. European domestic IT services market could not satisfy the growing needs of the large telecom provider. Another critical factor was the lack of reliable IREG testing vendors. BICS started looking for the suppliers of the Telecom Operations Services among the existing outsourcing companies, but were unable to find an IT vendor they could trust until they came across Infopulse in 2010. Having met extremely tight deadlines, Infopulse emerged with a tailor-made Core Network Services solution completely committed to the BICS processes, standards and procedures, satisfying all the business and user demands expressed by BICS. IREG testing: to ensure stable roaming service between operators. Switches & platforms: Sonus, Veraz, Siemens STP. 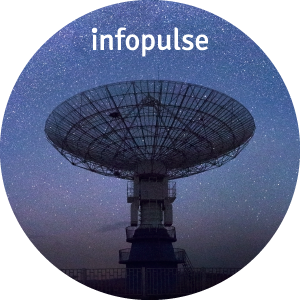 An image of a reliable Telecom partner due to world-class quality of telecom solutions provided by Infopulse. Infopulse and BICS signed the agreement to extend partnership until 2030 with subsequent prolongation upon mutual consent.